JAKARTA – RumahMillennials.com | You will choose your career path. You know what you are passionate about, your main strengths and your weaknesses. And then there are a lot of options out there, people around you (parents, friends, society) have different types of career expectations from you, and for some reason you don’t get the opportunity you wish for. Plus, you are a person who has a lot of interest, because of that, you are confused about choosing the right direction of your career. That’s happening almost to everyone. While the time is running, it’s okay to be a generalist at the beginning of your career. However, in the end, people will always trust someone who is a specialist in one thing. We simply cannot jump over from one field to another. Finding the right direction in a career is very crucial. As a 25-year-old person, I was struggling last year, because my career direction was unclear. I did listen to the advice of many famous successful people and I took an online class that helped me solve this problem, when I still feel there is a last piece of the puzzle missing, I need to talk with someone who is an expert in this field. So how to find this compass? I had the opportunity to discuss with Taufan Teguh Akbari, founder of Rumah Millennials, a platform of self-development and collaboration for Gen Y in Indonesia, and also Deputy Director for London School of Public Relations. 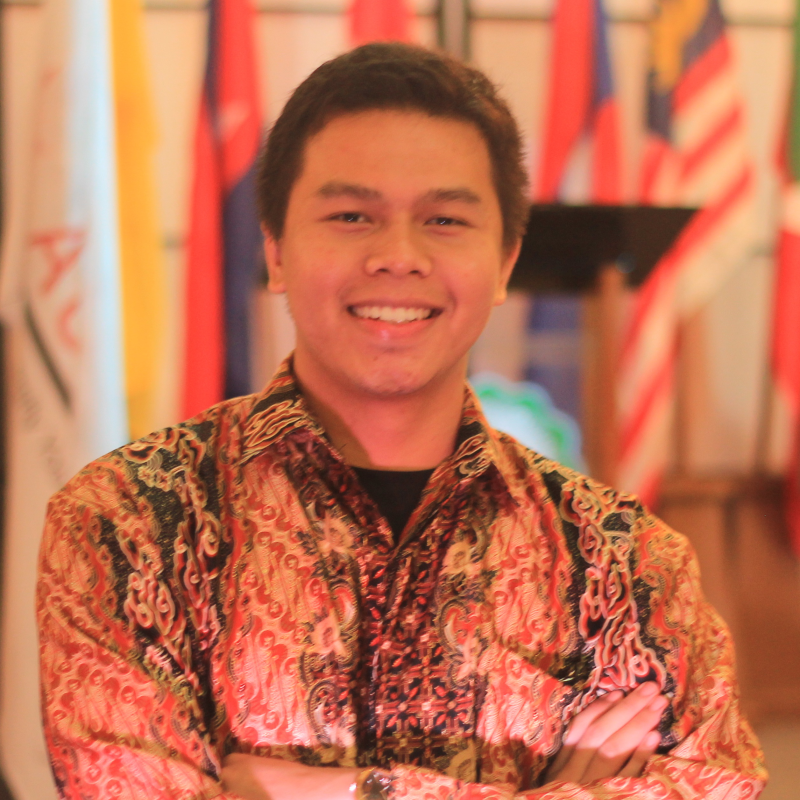 He is also recently appointed as Deputy Chair of Communication for the Indonesian Forum, an independent organization that aims to provide policy recommendations for improving people’s welfare towards Indonesia as a developed country in 2045. We talked for almost 3 hours. When I received his advice, I concluded something that was actually very basic. MAKE A DEFINITION. Defining something that makes us confused, so that we can clearly know and have a better understanding of it. What I realized at that time was that people get confused because sometimes they don’t clearly define what they feel and what they think. Many thoughts are running around in mind and we feel a lot of things, it is so messy and causes us this confusion. So when everything is mixed and not clear, making a definition makes someone able to focus again. For example, say you are stressed and depressed. Now, let’s ask again, is it true that you are depressed? Why are you depressed? Or maybe you are not depressed, but just really confused and tired. Because you don’t define what makes you stress, you just conclude it as a depression. We began by talking about understanding the LIMIT on a big scale. Knowing what we already have and what we don’t. The realistic point is here, having big dreams and started to build them at the point where we can maximize our current resources. The first column is to know what you want from deep inside of your heart. Ask yourself, ”what makes my heart singing”. In this digital era, too many people get influenced by what is seen on social media. People can be rushed to make decisions because of this. So in making this decision, separate from any external factors, such as parents advice, influence from friends or society, etc. Allocate your time to concentrate on understanding your dream job, In addition, think about what profession that can increase your personal growth during the process. A place where you feel that you can be better in every aspect of your life, and it should be in line with your vision and mission. The second column is filled by knowing what you have. Such as personal strength, network, money, physical goods, etc. And the last column is fill by knowing what you can do with all of those sources in the near time. For instance, if you love writing, start publishing an article and do your own promotion about it. You can also publish a book, work in companies as a content specialist or work as a freelancer. If you like to design, be proud to share your artwork with the public. After making those columns, you’ve defined what you think and what you feel about yourself. Now, continue by asking the questions like below. The function of asking these questions is to filter out many of these options and reduce them to be smaller parts. So you know, filtering options help you to stay focused. You know what needs to be removed and where to concentrate. What kind of career can really unleash my potential? For an example; I like meeting new people, so should I work as a salesperson? In another context, Taufan also has similar interest, plus he loves education. So he decided to become a lecturer because he had the opportunity to meet new people as well as give lectures. How do I want to know by people? By my work? By my good-looking face? With my skills? A lot of options for this. What are the problems around, and how I can take the role to solve them? What can I do in the next 3 – 5 years ahead? What is something that really in line with my hobbies, passions, talents? What kind of environment that I need to fill my dreams? Is it Marketing? Politics? Self-development? Set this domain, open to learning something else, but focus on your main domain. If I observe people and the situation around, who is supporting me? I already knew my dream, what kind of friendship should I look for? Decide who’ll be your friends, a circle that can be your support systems. It could be someone who has the same vision or passion as you, or someone with the same hobby either the same interest. You will be the same person in five years as you are today except for the people you meet and the books you read. If I have to make a priority to achieve my goals, what is that? What can I sacrifice? Taufan reflected his decision to become a lecturer at the beginning of his life. To fill what he’s passionate about working as a lecturer, he sacrifices flexibility. Making all of this will take your time, so make this as one of your priorities. If a football coach allocates his time to studying his enemies, conducts research, before making a decision to set the right strategy to win, should you think of allocating time to study the method above, to win our lives? I believe so. Hard work is important, working smart and knowing where you are going is more important. Doing it early would be beneficial. After all, every process will take time, commitment and patience to stay consistent with the lifestyle that has set is the key. Where do you stand right now? Hoping this article can help you. Next Post: [en] Indonesia’s Young Troops: Solving The Country’s Problem Through Direct Involvement of Communities.